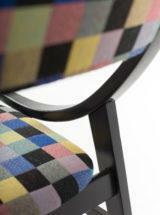 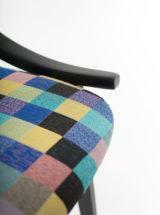 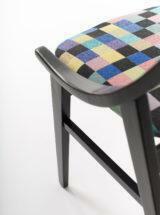 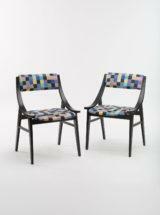 Chairs have undergone thorough restoration, wooden frames have been cleaned of old varnish and painted semi-matt black. 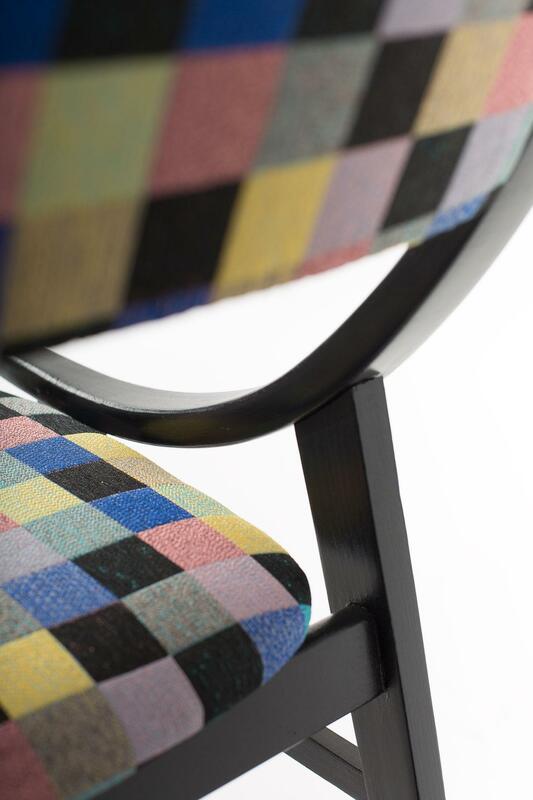 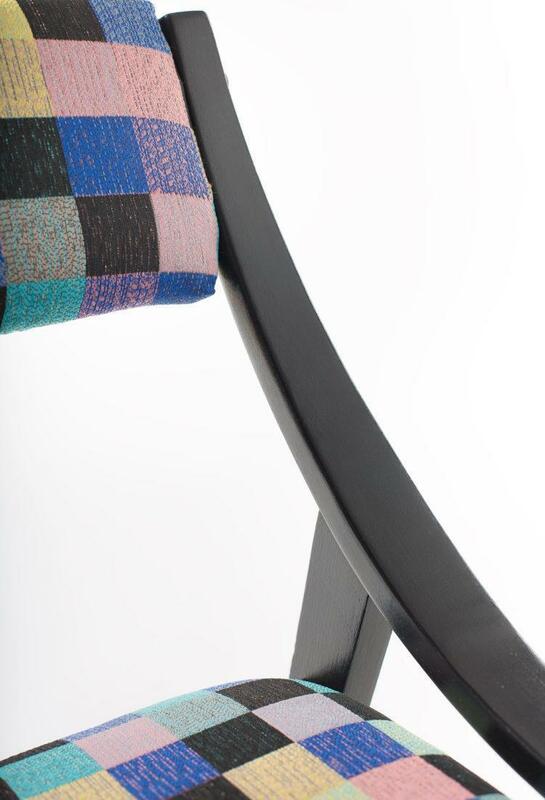 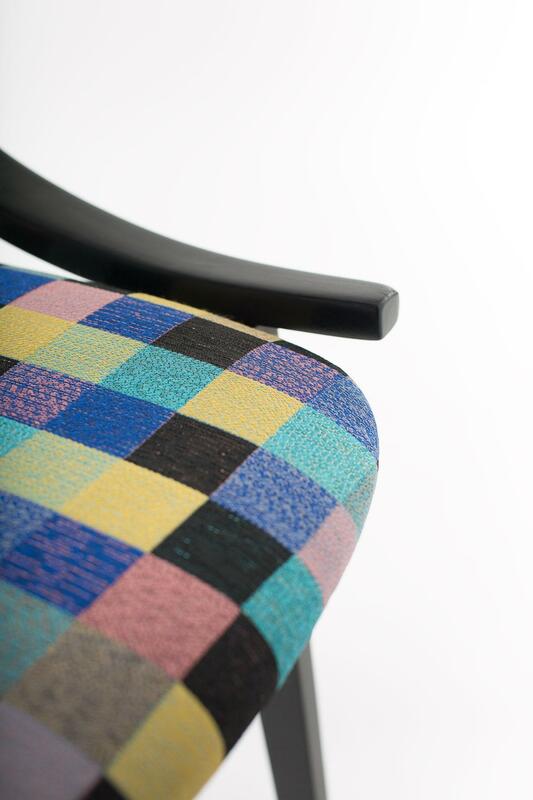 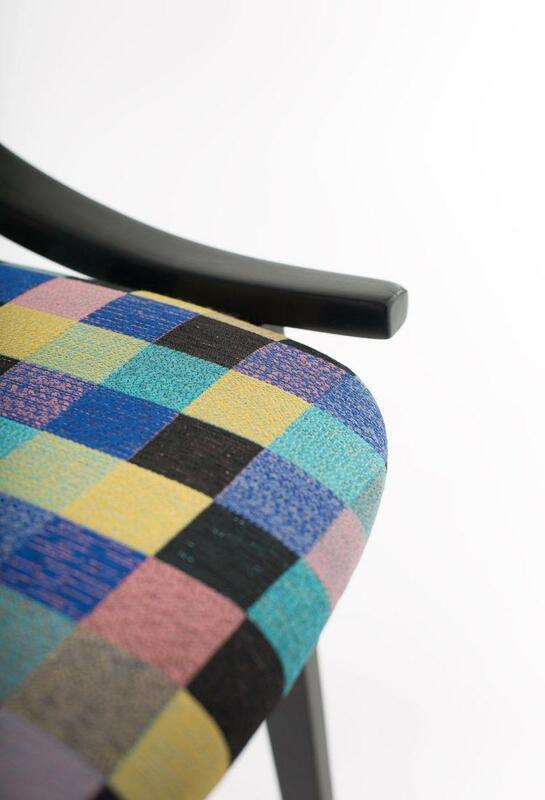 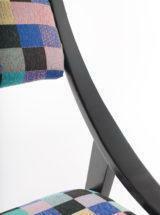 Upholstery foams have been replaced on the seats and backs, covered with a stylish, colorful fabric carefully selected to match the color of the frame. 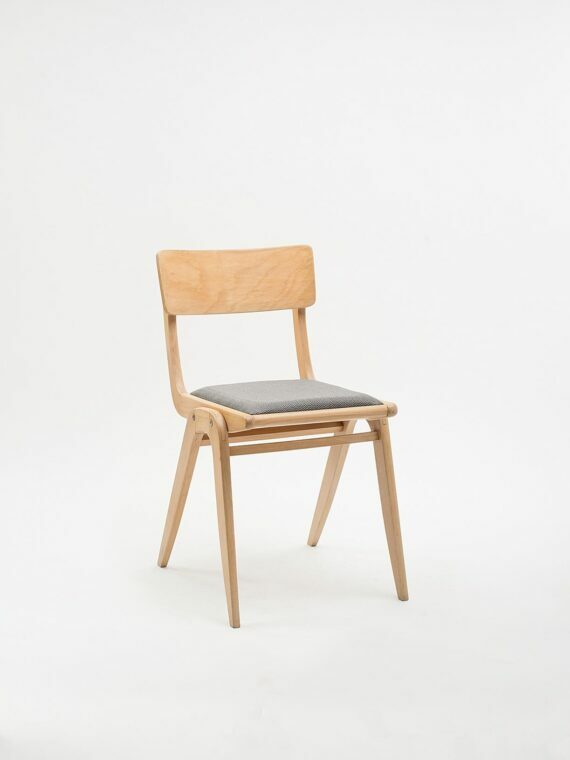 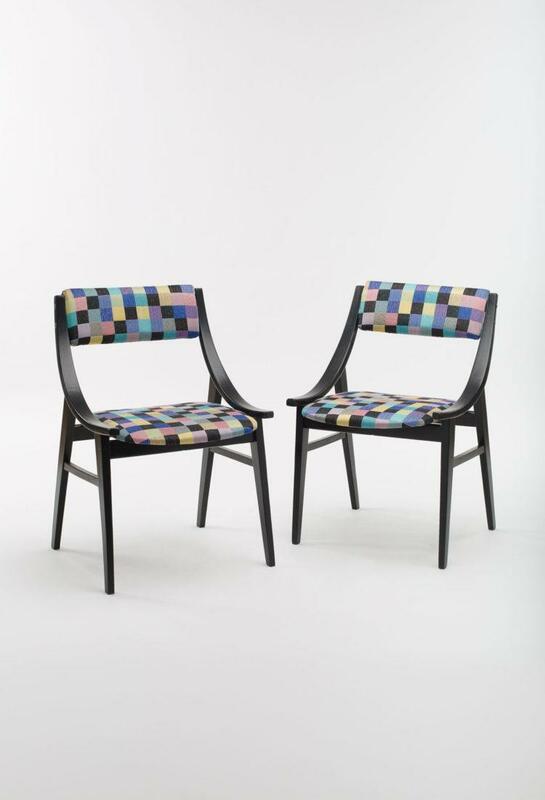 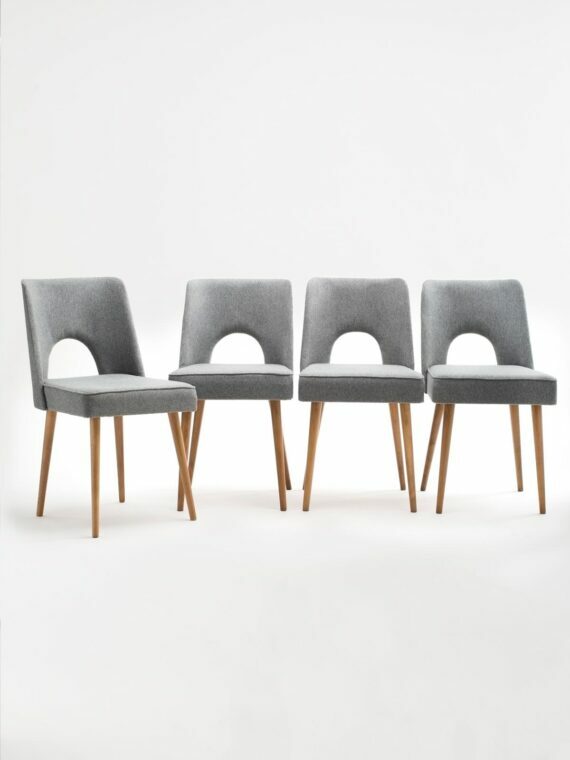 These chairs have been finished in the same color as the “Pair of 366 Armchairs” and together can create a set.